Repubblika is a non-governmental organisation which was founded to promote civil rights, democracy, the rule of law, freedom of expression, personal liberties, social inclusion, the protection of the environment, economic sustainability and equal opportunity. Its aim is to participate actively in the national dialogue and to promote initiatives in this sense that target education and the social and philanthropic fields. We support the statements made by the Venice Commission, which have highlighted the democratic weakness in the constitutional reality of our country, in particular the unacceptable concentration of power in the hands of the Prime Minister, the lack of independence of the judiciary, the anomalous and conflicting position of the Attorney General, the inability of Parliament to exercise control on Government, and the anti-democratic limitations on a free press and civil society. This is why we agree with the principle that Malta needs constitutional reform. We here express our great concern about the present situation, especially when we observe that the persons who are exploiting our constitutional deficiencies in order to exercise unrestricted power are the very same persons who should be determining the constitutional reforms that our country needs. We are not anticipating that those who are currently exceeding the vast powers they already possess will genuinely endeavour to restrain the powers they are supposed to wield. We are highly concerned by the fact that the current political environment appears to be the worst context in which to carry out such important reforms. The political parties in Parliament seem to be the ones to benefit most from the constitutional shortcomings that we are faced with. Thanks to the means of communication that these parties own and control , they obstruct public discussion, they evade the sifting of information that is naturally conducted by a free and critical press, and exploit populism to crush free thought and mature dialogue. Those who created the constitutional model between government and opposition wanted healthy debate which would bring forth clear arguments in favour or against an idea. Instead, we are witnessing cooperation between the two sides in Parliament that, as far as we can see, is intended to propagate the current constitutional shortcomings which guarantee them power, and even to exploit the need for consent to attain reform as an opportunity to allow things to degenerate further. 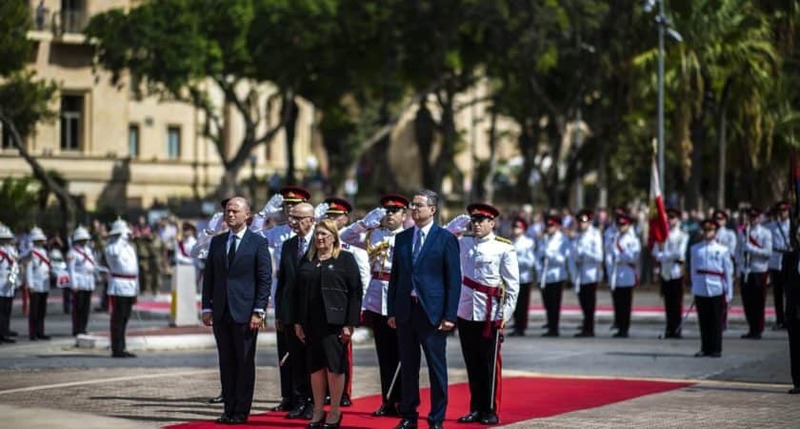 We genuinely hope that our concerns will prove to be groundless and that a process of reform that will truly restore and strengthen democracy in Malta will really take place. In affirming this, we wish to point out that we do not believe that civil society should be relegated to the role of spectator of a process that is accomplished and controlled by political parties. After all, the constitution is a contract between the people and those who the people have temporarily entrusted to govern them. It would be contradictory if in this process, the political parties were to represent the two parts of this social contract. We are therefore writing this letter to express our will to be given a participant and significant role in the present discussions on constitutional reform.